It’s shocking how little attention I pay to singing. Most people hear a song and seem to only hear the words, but I only catch fragments of verse and I usually hear ‘em wrong anyway. Truth is, I’d just as soon have the vocals buried deep in the mix since there are bands I can’t listen to because I can’t get past an annoying vocalist or insipid lyrics. And more often than not, these overmixed crappy vocal tracks diminish the power of the music. 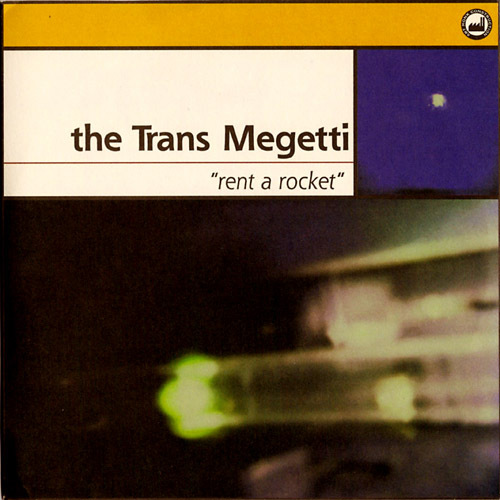 The Trans Megetti’s Mark Tesi, however, has some of the best sing-shout punk vocals you’ll hear anywhere. They’re forceful but not overbearing, and they perfectly fit the band’s razor sharp power punk. Mix Hot Snakes’ punchy guitar work with Gray Matter vocalist Geoff Turner’s unwavering wail, and you’ll get a sense of where this New Jersey powerhouse is coming from. They released a couple solid albums after this 7″ on the Art Monk and Gern Blandsten labels, but this raging debut record is easily my favorite.